Become a palaeontologist and Dino geneticist with the 4M Dinosaur DNA T Rex. 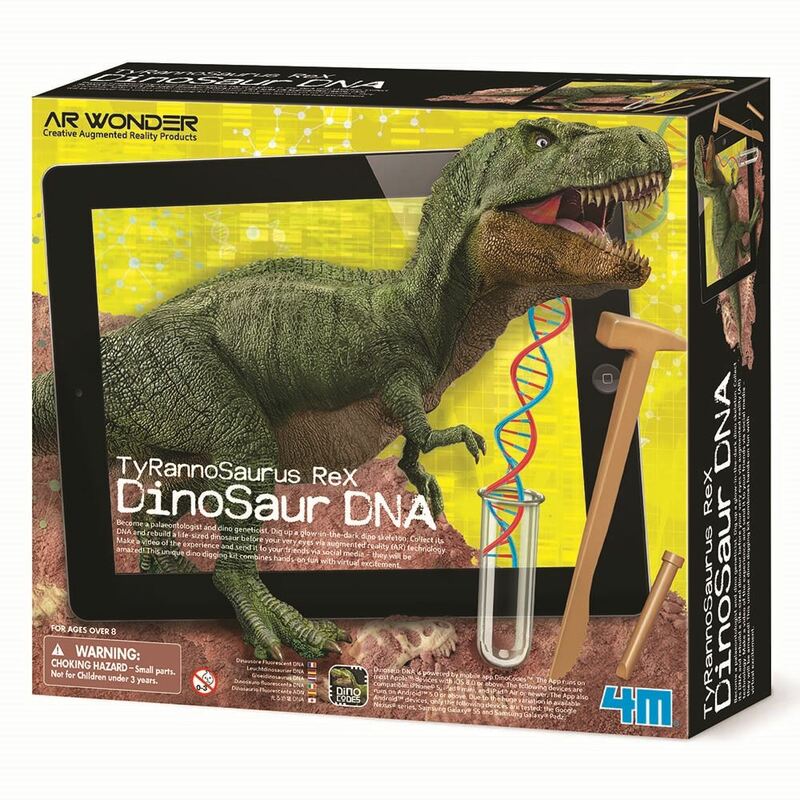 Dig up a glow-in-the-dark T Rex skeleton, collect its DNA and rebuild a life-sized dinosaur before your very eyes via augmented reality (AR) technology. Make a video of the experience and send it to your friends via social media – they will be amazed! Includes: a plaster block, container storing the dinosaur DNA fragment stickers, glow dinosaur skeleton, digging tools, 2 AR play mats (each 420x420mms), accessories and detailed instructions. Age 8+ years. Distributed in New Zealand by Holdson.